Audi India is recalling 382 Q7 SUVs for a vacuum line replacement in the brakes. Audi confirms that like other manufacturers in India, this is a part of their global recall in which many cars including sedans were recalled to rectify the same issue. 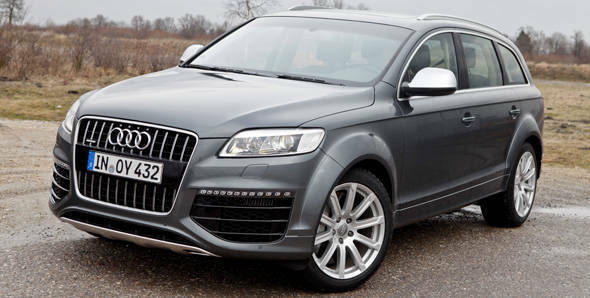 Audi Q7 SUVs which were manufactured between March-December 2012 are part of this recall. The company says that the owners of the Q7s have been already notified and close to 200 cars have already been through the vacuum line replacement at Audi's workshops. Audi further mentions that this exercise takes approximately half an hour and the affected part is being replaced free of cost. Apart from this, Audi globally has been recalling the A4 sedan for repairing a defective airbag. This exercise, Audi India hasn't confirmed, whether it affects the cars sold here or not. A directive on the same is expected sometime next month. Audi is the first premium car manufacturer in India who has recalled their car in recent times.